Gaining healthy muscle mass by building up your body through non-chemical means is the key to long-lasting and beneficial results. 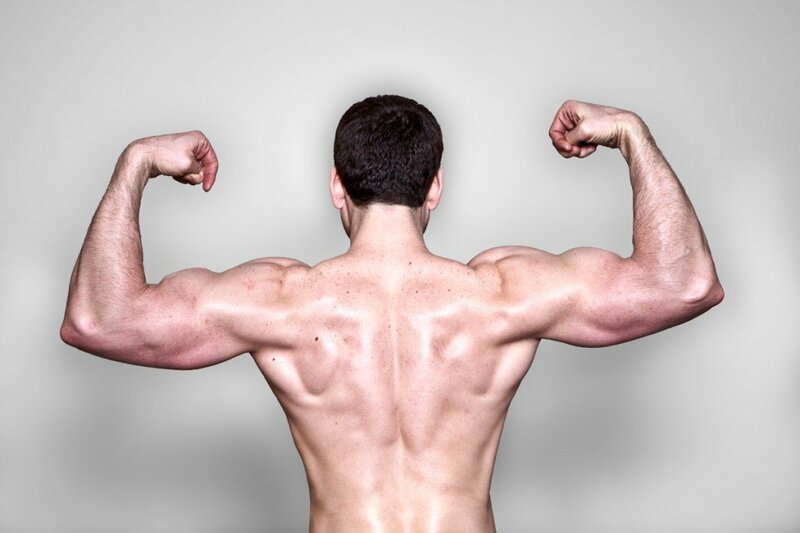 Even if you are a vegetarian, vegan or rawfoodist, you can build sustainable muscle mass. I believe that a combination of plant proteins in combination with a healthy diet is the way forward. It is an investment: simply said, anything you put into your body will result in how you feel. If you base your success on unnatural or animal-based supplements, like many people who try bodybuilding do, your body will be constantly in an acidic state, which can result in bringing more pain than pleasure in the long term. For example, after cooking a beef steak you will end up with approximately 20 grams of protein, not mentioning that it will take much longer to be digested and will also take a larger amount of energy than a plant protein which can give you 50-85 grams of bio-absorbable protein. And it will take much less energy for digestion and less time to be digested. A greater result in a shorter time. My training methods are designed for men and women to achieve their desired body shape through a personal combination of nutrition, training and coaching. We can work together on the phone or by Skype. If you’re in north London, see my Kilburn page, or around SW1, the Westminster page. Omnutritionist will support you every step of the way towards your dream body shape.